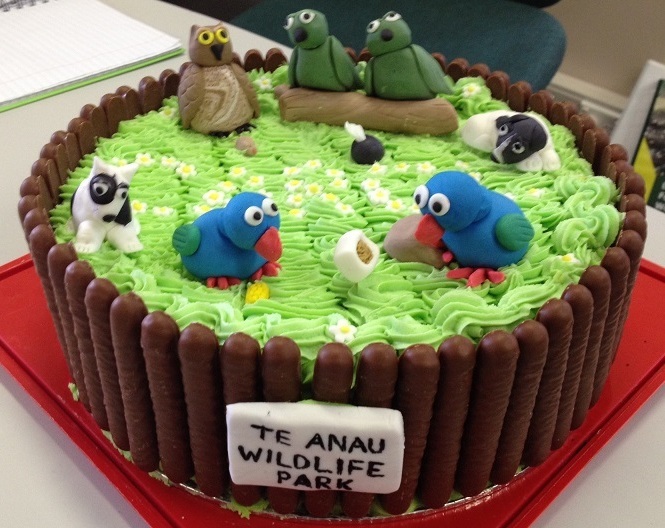 Following a career spanning 30 years of service to conservation, Te Anau Wildlife Park ranger Carol Gardner, has retired from DOC. Carol and one of the keas she has known since it was an egg! Carol’s career has seen her doing many different jobs in many different places throughout Fiordland. In the late 70’s and early 80’s she was part of a project building tracks in Fiordland National Park. She then moved to Te Anau and took on a job looking after an area that spanned from Milford Sound to Mavora Lakes; it would take her three hours to drive from one end of her beat to the other! During this time Carol was responsible for landscaping outside Fiordland National Park Visitor Centre and caretaking in the now council owned Ivon Wilson Park. 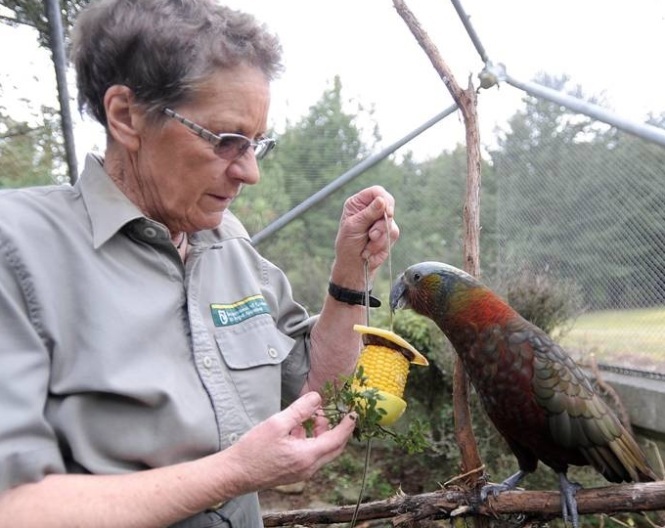 For the past 24 years she has been taking care of our feathered friends at Te Anau’s Wildlife Park. Carol formed a deep affection for the park’s birds. She has cared for the two resident kea since they were eggs. They are now mature 25 year old birds. 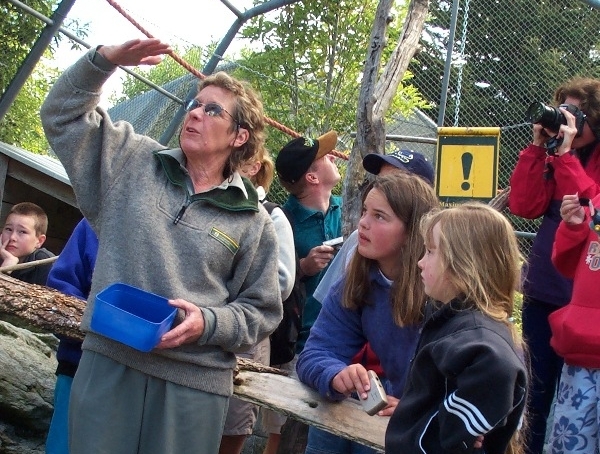 She hand-reared the Canadian Geese that reside in the waterfowl enclosure and has looked after all the other birds that have lived in the park: weka, kereru, pateke, ruru, parakeets, kaka, paradise shelducks and takahe. Carol found her calling as an advocate for our native birds. 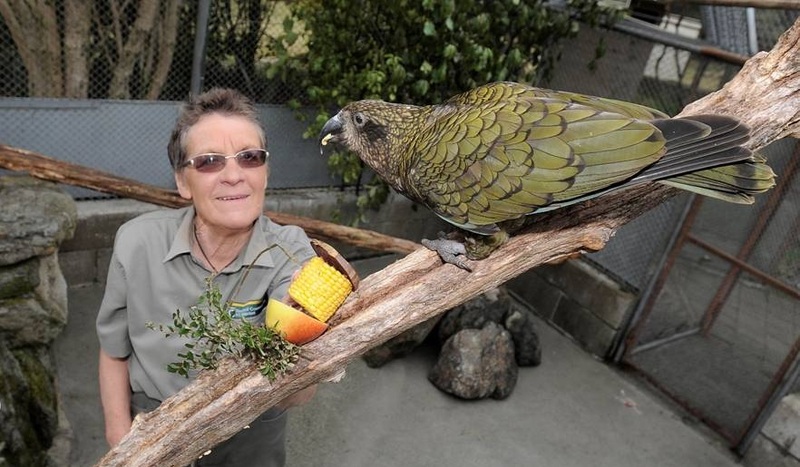 It is the birds at the Te Anau Wildlife Park that Carol will miss the most now she has left DOC. Carol’s contribution to the Department will not end with her retirement as she intends to continue her service by volunteering. 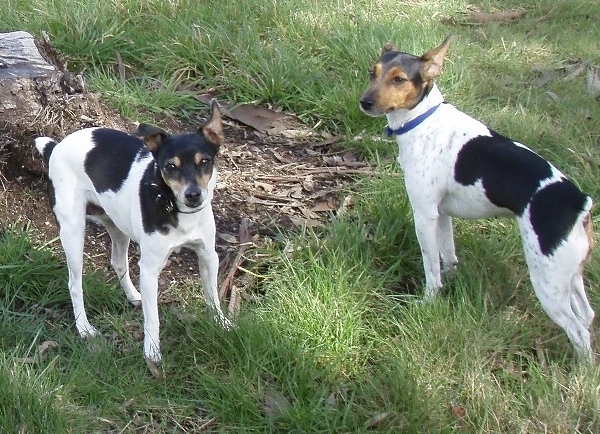 She also intends to spend lots of time hanging out with her grandchildren and great-grandchildren, walking her dogs and tramping.